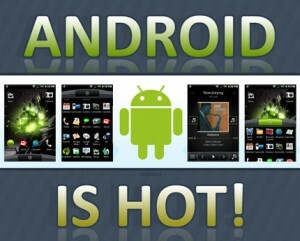 There are lots of free games available for Android phones which will take you to another level of mobile gaming. In this post, lets talk about some of those addictive games which take most of your leisure time and are so addictive that even adults become kids for the time being. These games are either free or supported by ads or on freemium model (Freemium means the game is free but it has optional store to buy certain in-game help.). All these games are optimised for touchscreen phones. If you have missed any of these games listed below, I bet you’re missing a lot of fun. 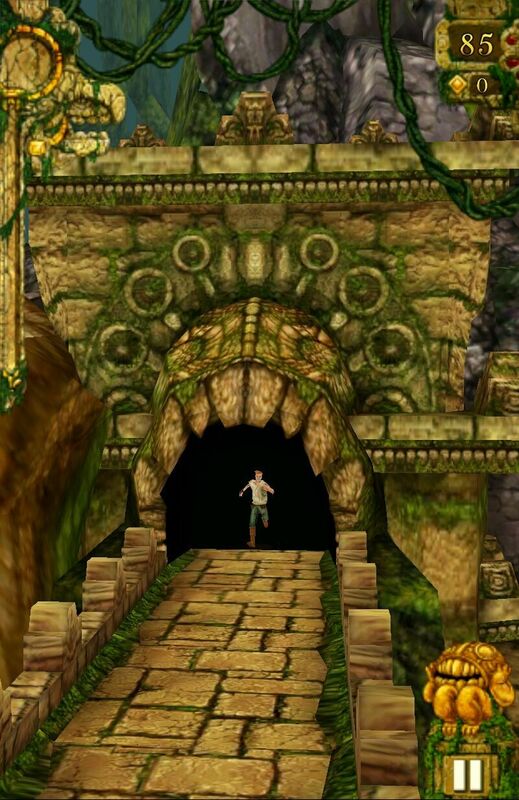 Temple run is already the top scorer in apple’s app store but since its launch in Android market i.e. Google Play of late, it has become of the top most downloaded games. Some people complain that it is not as smooth as it feels on iPhone (this might be due to Unity game engine used to make this game) but if you have a high-end smartphone like Samsung Galaxy S2, S3 or droid razr, or HTC One x, etc. it works like charm. It runs smooth. The graphics is amazing. The controls are simple and easy. It is really addictive(I have been playing it for hours since the day I download it). 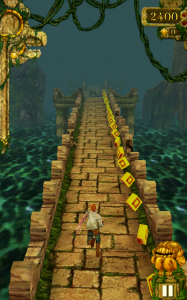 In this game, our lead character is on continuous run who is being chased by demonic monkeys. On his run, he has to jump gaps, escape from fire, slide through holes, collect coins. 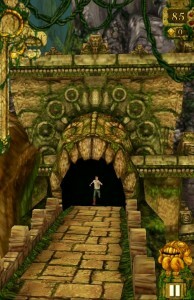 A player can use his coins to buy or upgrade special powers from temple run store menu. As a player progresses, the speed of chase/run increases and it becomes very difficult to keep your character safe if you’re not quick and responsive enough to challenges ahead. This game doesn’t need description. 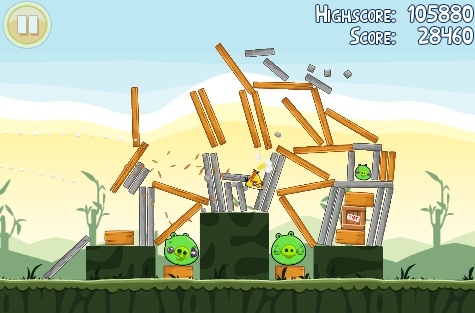 Angry birds and its variant like Angry Birds space, etc has already topped the chart on several platforms. Just play it, enjoy it. I like this game. It is not very hard nor very easy. 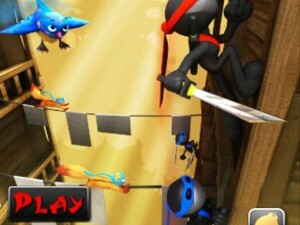 In this game, a ninja (the lead character) in on the continuous run upwards climbing to the top. On his way, he has to avoid squirrels, angry birds, enemy ninjas and stars and bombs. He also has to avoid irregular projections on the wall. To avoid, the player has to jump from left side to the right side and vice-versa. The player can always take stars, bombs, squirrels, and birds while jumping. 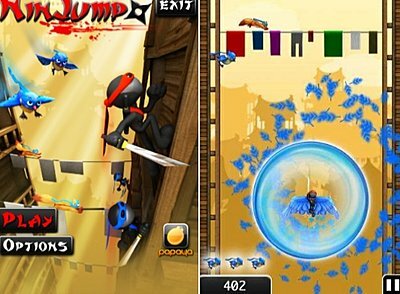 If the player takes down three enemies of the same kind, he gets mega jump and speed for a limited duration scoring more points in less time. Download Ninjump from Google play from here . This game has been available in the google play store for a long time but I had not tried it. 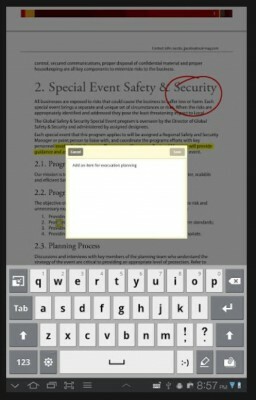 Now that I have tried it, I can not give up. I keep playing it again and again in attempt to score even higher than my previous best. You can say that it is very addicting game as well. 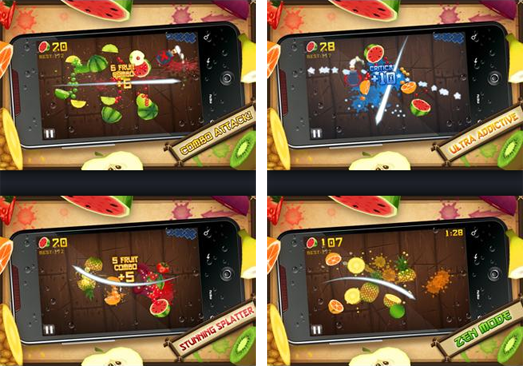 Playing Fruit Nija android game is very easy. You have just slice/cut the moving fruits before they disappear from the screen while avoiding cutting the bombs which come occasionally. This game is classical, arcade modes built. Play whatever suits you. 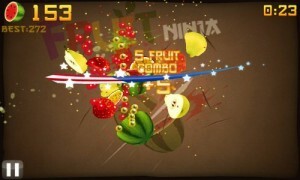 Download Fruit Ninja on Android smartphone from Google play store from here . This is also addictive game if you love racing games. 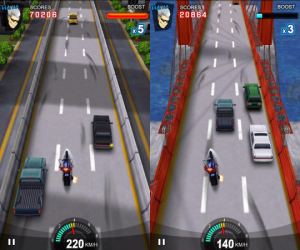 This is bike racing in which you have to keep driving on the road tilting your phone to right and left to the move the bike in the appropriate direction avoiding traffic while maintaining speed by holding your finger on screen continuously. 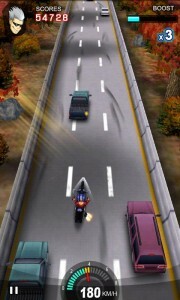 If you leave your finger off the screen, the speed of bike decreases and thus scores doesn’t increase much. 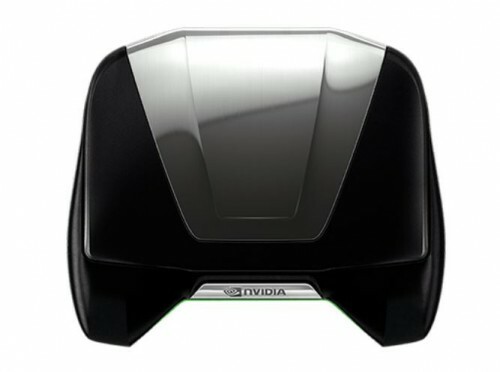 So, this is also fast paced game aimed for quick and instantaneously responsive gamers. Download Racing Moto on your android phones from Google Play Store from here . Which android game do you play the most? Share your reviews and feedback in the comments below! Bejeweled game is also very addictive.. Temple Run is now not that exciting. I get bored easily with that game.. Also suggest some puzzle-based android games..